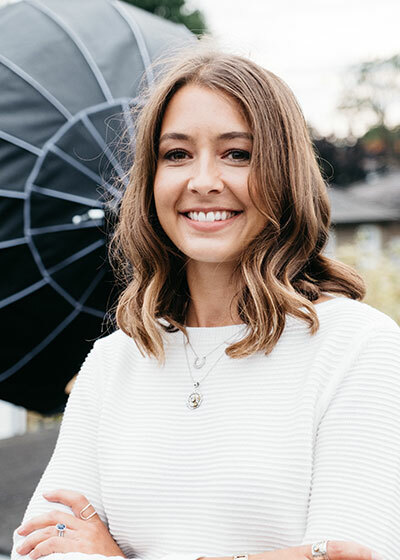 Holly, a self-acclaimed sustainable fashion enthusiast, has been using her distinctive talent and keen eye for trends to style celebrities of all kinds, and subsequently launched her own company for girl group Little Mix in 2013. Since then, the multi-talented stylist has turned to specialising in red carpet, editorial and commercial styling, working with a range of well-known British talents, from the Golden Globes to the BRITS and BIFA. 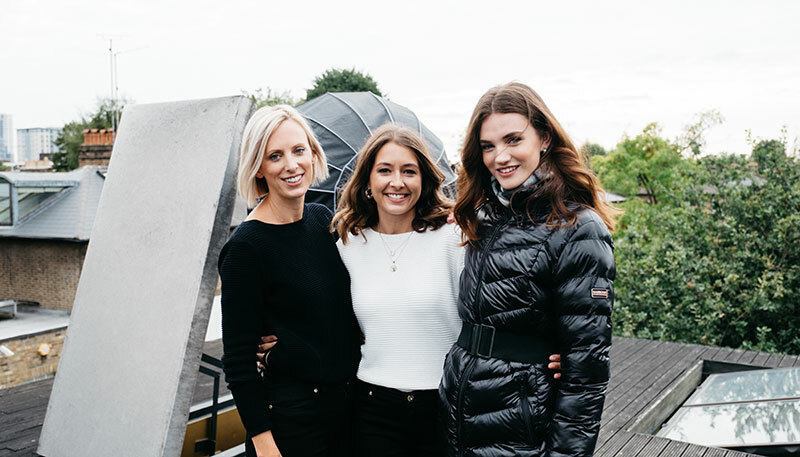 We caught up with Holly after the shoot to discover more about her inspiring career, styling aesthetic and to chat more about what makes Barbour International clothing the perfect addition to a ‘fashion forward’ wardrobe. I’ve always been interested in fashion. At school I used to organise the school fashion shows, so it felt natural to me to go on and study fashion design at university. I didn’t actually know the job of a stylist even existed until I got there, but it just ticked all the boxes for me. I started out interning for a fairly new London publication, 1883 Magazine and from there my career in styling began. Being at a start-up was the perfect opportunity as I was given a lot of responsibility fairly early on and was soon able to shoot my own editorial material for the magazine. I styled shoots whenever I could, and grew a network of photographers and fashion PRs so that when I decided to take the leap into freelance I had a portfolio to back me up. After getting the opportunity to style British pop group, Little Mix, I was taken on by Sony Music full time to look after the girls’ styling – it was a truly fantastic time in my career, I absolutely loved it! From there I focussed on celebrity dressing and building up my portfolio of red carpet, appearances and event looks. A true love of celebrity styling. I’m really interested in how fashion is so completely linked to personality and confidence. It’s always been the thing I find most fascinating about clothes – because what works for one person doesn’t for another. The main thing I love about dressing celebrities it simply finding a look that they feel incredible in. Only when I’ve achieved that it is my job done. I’ve had a few stand-out moments in the last year that I’ve really enjoyed. Working with Ophelia Lovibond on her red carpets, working with Tanya Burr and styling Gemma Collins for YOU Magazine was brilliant fun. Searching for inspiration to find true gems. I find a lot of inspiration through scouting out new designers that I know my clients would love – Instagram has been a superb tool for this! There’s nothing more exciting than coming across a designer I haven’t heard of and adoring their collections – it's like striking gold! Olivia Palermo is one of my absolute icons as she never puts a well-heeled foot wrong. Versatile pieces and an effortless aesthetic. I think what’s lovely about the AW18 collection is that the pieces can be styled up in numerous ways which allows you to add your personal touch – I wore the white knitted jumper which I paired with my love of layered necklaces, bracelets and rings because that’s my style. I’d also wear the tees with a midi-skirt, dungaree or smart trouser and blazer combination. The foundation to an exceptional look. Barbour are great because all their style derives from the brand’s ethos to create timeless classics that will live in your wardrobe forever. I’d go for the Barbour International Catalunya quilt jacket – it's a key wardrobe piece and the faux fur trim gives it a bit of edge. I loved Barbour International’s layering pieces. Pairing the logo tee with the bomber jacket before throwing on a hero jacket isn’t just functional for the colder months, it gives variety to a look. I also think the scarves are fantastic and play a key role in the motorcycle-inspired aesthetic. Creating looks with the new collection. In the shoot I wanted to showcase the logo tee as it’s a very versatile piece that can be styled in so many ways. This time I chose to style it up for every day autumnal dressing with the faux fur trimmed puffer jacket – this look is my favourite, and in terms of personal style, the one I relate to the most. I also wanted to find a way to enhance the tee-dress as it’s a staple style lots of women rely on in their everyday wardrobes. I went for the white puffer jacket in the end as it brightened the look and made it feel fresh. For the evening look I wanted to do a real winter style up which means lots of layering. First with the logo tee underneath the quilted bomber jacket, then with the puffer jacket thrown on top and finally, one of BI’s classic tartan scarves. The scarves are a wonderful addition to the collection as the muted colourways beautifully complement all of the new season jackets. The hero piece for me would be the faux fur trimmed quilted jacket. I love a timeless classic this jacket is one of those. It will stay in your wardrobe for years to come and never date. Discover the full AW18 BI Women’s Collection here.